Update: The Matterport-BLK360 integration is now in beta testing. If you would like to learn more about the beta, including how you can join, please do so here. At Matterport we have an unofficial slogan that we want to “give people the freedom to be any place at any time”. We’ve worked to fulfill this by making the end-to-end process of 3D reconstruction easy. Our 3D content platform takes care of all the hard parts, including aligning, reconstructing, hosting, and serving all this content. At the capture end, we’re excited to announce that we’re working to enable third-party 3D devices and laser scanners to talk to Matterport’s capture app. The first such device will be Leica’s BLK360, a LiDAR-based imaging laser scanner that offers longer range, higher accuracy, and outdoor performance in direct sunlight. 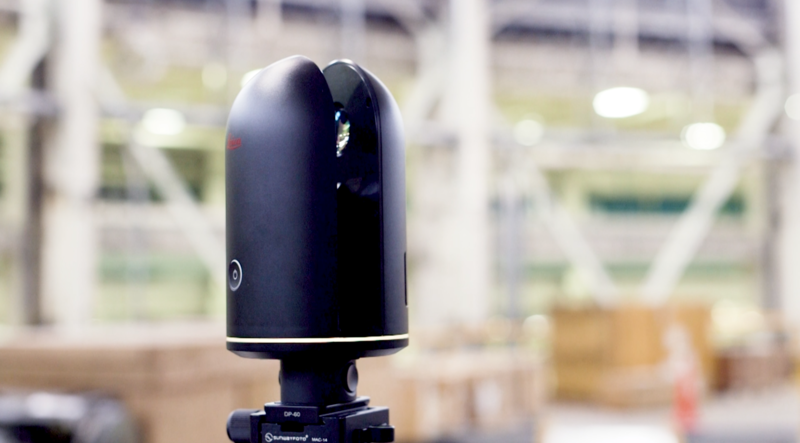 We’re particularly excited about the BLK360 because we believe it represents a revolution in portability and cost in the laser scanner market. By marrying BLK360 hardware with Matterport’s seamless 3D content capture and distribution platform, we are giving users the flexibility of being able to utilize the right mix of field systems depending on the job requirements, ensuring they can always use the best tool for the job. We see laser scanners like the Leica BLK360 as very complementary products to our own Pro2 camera. To begin with, the Matterport Pro2, at $3,995, and the Leica BLK360, at around $15,000, are both quite a bit less expensive than traditional LiDAR units. The BLK360’s stated range of 196 ft (60m) and its ability to operate in direct sunlight makes it the ideal capture option for large open areas such as the outdoor parts of construction sites, large warehouses, shopping malls, stadiums, and factories, as well as facades of commercial buildings. 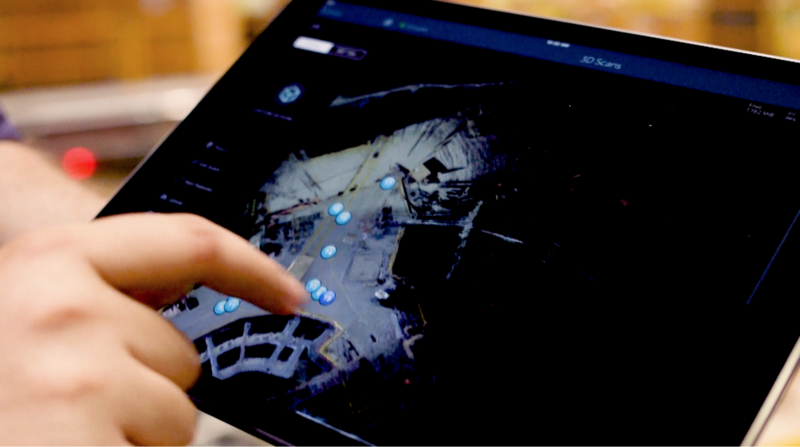 This range has allowed the distance between captures to be as much as 50 feet in early tests, which will enable operators to quickly move the scanner through larger areas. However, the BLK360 capture time per sweep is about 3 minutes compared to less than 30 seconds for a Matterport camera. As a result, the Pro2 captures smaller spaces consisting of a lot of rooms or intricate passages faster. The ideal solution, of course, is to always have the right tool for the job. For any large spaces that also have rooms or areas to capture in fine detail, we’d want hardware operators to be able to seamlessly mix data from both the BLK360 and the Pro2 in the same session. In fact, we’re modifying the capture app to enable exactly that. As an early test of this combined capture system, we worked with our contacts at Lawrence Berkeley National Laboratory to capture their Advanced Light Source building — home to a type of particle accelerator called a synchrotron. 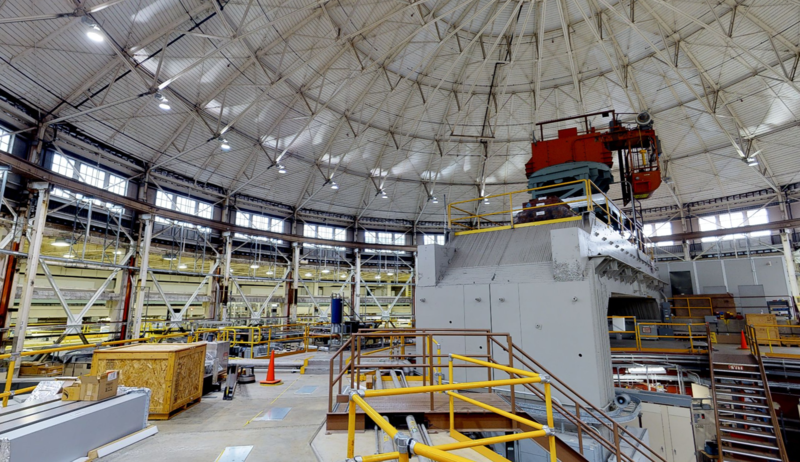 The main space is a dome about 60 ft high and 160 feet wide. Much of the equipment and structure is too high to reach with the Pro2 camera alone. However, the main pit is a dense area full of racks of equipment, the sort of space that would take a day or more to capture with a LiDAR system. However, by combining the Pro2 and BLK360, we were able to capture the entire space in about three hours. 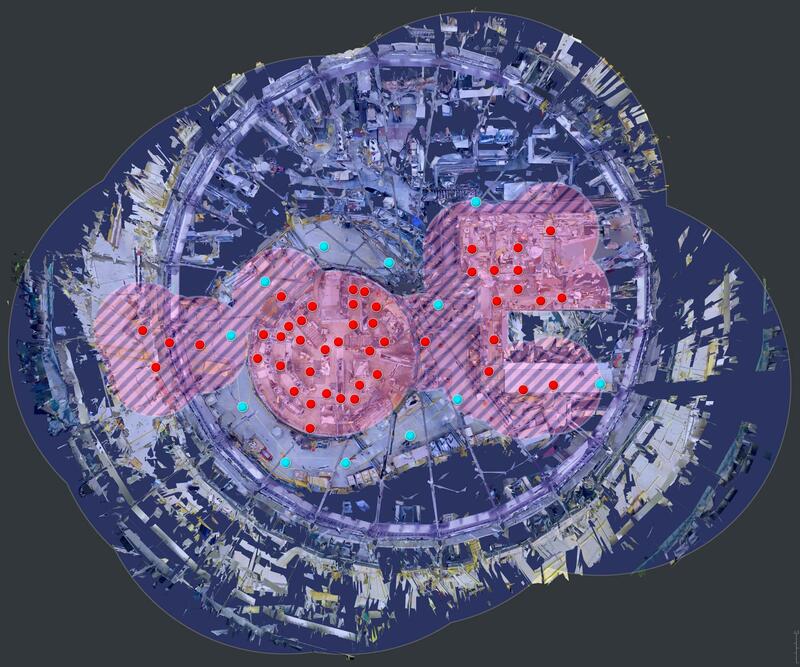 You can see how the two devices worked together — in this floorplan, the red dots and regions represent the capture points and captured areas from the Pro2, and the blue dots and regions represent the captured points and captured areas from the BLK360. The Matterport-BLK360 integration is now in beta, and we are actively looking for beta participants who can help provide feedback to our ongoing updates. By participating in the beta, you help us achieve and uphold our high standards for quality, reliability, and ease of use! If you're excited about using a BLK360 with the Matterport Capture app and 3D publishing service, we would love for you to join the beta by going here. If you’re interested in receiving future product updates on Matterport’s planned release, you can sign up to receive updates here.